Venison is in season in the winter months. 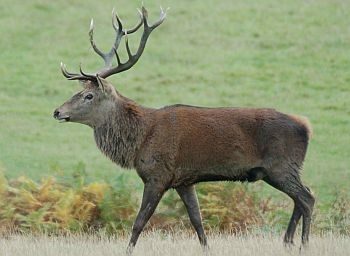 There are five breeds of deer in the UK – red, roe, muntjac, fallow and sika. In Scotland, red deer give us the majority of the venison we eat. As well as culling wild deer, we also produce farmed venison. Wild deer management is important, as Scotland no longer has any large predators to keep deer numbers under control. Venison is a healthy lean meat. The meat is high in iron and low in fat providing an ideal Christmas choice. Look out for the Scottish flag on venison products. Read the label to find out how the meat is being produced, as there are both wild and farmed venison products on the market. Venison is in high demand and quite a bit of it is being imported from New Zealand. This is a long journey for something that can be produced here, so opt for Scottish where possible. For further information on deer in Scotland, click here . Use your Glow email address to join the Good Food learning conversation on Glow Yammer!